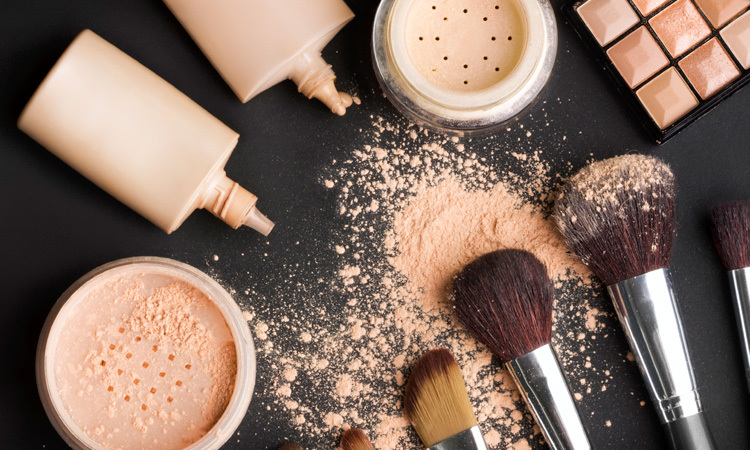 Beautiful makeup requires the perfect makeup foundation. 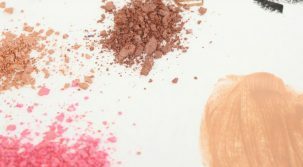 Foundation creates a blank canvas on the face to which colors is added: eye shadow, blush & lipstick. It is also the setting agent. It is also the setting agent for these products acting as a barrier between the color & the skin’s own natural oils, which would otherwise dissolve the makeup. But because it covers the largest area of the face, foundation needs to blend seamlessly with the skin. Before buying new foundation there are two areas of concern that need to be addressed. Firstly, the foundation must complement your skin type. Oily Skin; For oily skin that is prone to shine, an oil-free formulation will hinder the production of excess oil, and most contain extra powder particles to dry any oil produced. Normal Skin; Normal skin can take pretty much any formulation, but a liquid will give ample coverage without looking caked or heavy. Dry skin needs makeup foundation with extra moisturizers to keep it supple, and to prevent the skin from drinking in the makeup. A cream makeup formulation will last longer and also hydrate. The best time to pick a color is when your skin is at its most natural shade. So, after your holidays or morning after self tanning applications are not the best time. The best place to try makeup is on the jaw line. The most common yellow-toned skin types are Asian, sallow and black skin, whereas fair skin has generally has pink tones. It is important to choose a foundation that matches your skin’s base, otherwise the makeup will not blend well, no matter how you apply it. Oily Skin; With oily skin, the application of oil-free formulas needs to be fast, as they dry speedily. Using clean fingers to apply small does to the areas most in need of coverage is the best way; simply do each area at a time until the face is complete. Normal Skin; For normal skin, the choice of cream-to-powder liquid or powder foundation can change how much time you spend applying it. Cream-to-powder is best applied with a sponge, starting in the center of the face and working outwards; its done in a matter of moments. Liquid foundation looks more natural applied with a foundation brush. Again work the brush outwards, taking care to use less around the eye area. 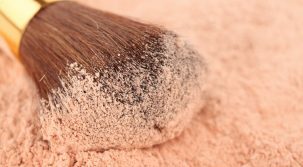 Powder or mineral makeup foundation should be applied with a large powder brush; while it will not give the same level of coverage as a liquid, it is a great makeup for those who are pressed for time. Dry Skin; For dry skin, cream foundation moves well around the face, and a little goes a long way. Dry skin tends to have few blemishes, so concentrate on areas that need coverage, and leave clear areas bare: this is why getting the right color match is vital. Choosing & Applying The Perfect Makeup Foundation Reviewed by FashionPole on November 6, 2016 .